Our Vision is to be the Fire Protection Services Company of Choice in our Service Area. Our Mission is to be the Most Trusted, Respected, and Dependable Fire Protection Services Company in our Service Area. Our Governing Value is to provide Exceptional Service to both our External and Internal Customers. Our world is driven by information technology. We understand that and aggressively embrace the utilization of information technology. All of our customer records are maintained in a customer database. This database has a record for every piece of equipment the customer owns and we maintain. 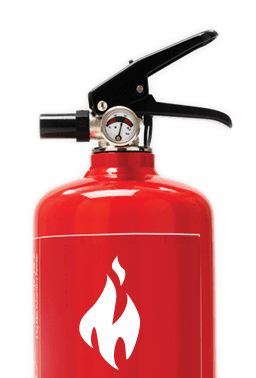 (One business we serve owns over 500 fire extinguishers.) We track these by serial and model number and know exactly when each of these units have been serviced and will need to be serviced in the future. We will also use bar coding and scanning technology to better manage and track these assets. Unlike many smaller fire protection service companies, we assume the responsibility for notifying our customers when their equipment needs to be scheduled for service. Heartland Fire Protection Service uses a scheduling software application called Building Reports. It provides our full time scheduler with a list of customers who are due to be serviced. In the future we will be able to verify appointments using email and text messaging. Prior to purchasing Heartland Fire Protection services in 2013, Jim was a rural hospital CEO who specialized in financial turnarounds. Under his leadership, Heartland has expanded in product and service lines; its geographic market area; and annual revenues. Chance is responsible for the day to day operations of Heartland. He is trained and certified to inspect and service fire extinguishers and kitchen suppression systems. Brian has over 25 years’ experience and is factory-certified by most major manufacturers of fire protection equipment. Dan is a licensed commercial electrician and is certified to install and test fire alarm systems. He has extensive experience in installing commercial fire alarm systems and is factory trained on Honeywell Systems. Mike has over 30 years of agribusiness and works primarily with our rural customers.